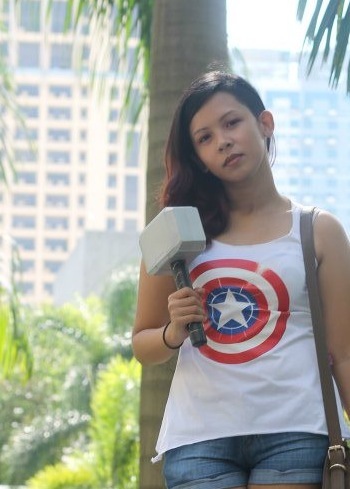 Last month, I watched The Avengers with Kelly Medina of The Traveling Boots, Vergil Chua of Right on the Verge and the babydaddy at Greenbelt after enjoying half-off frappes. 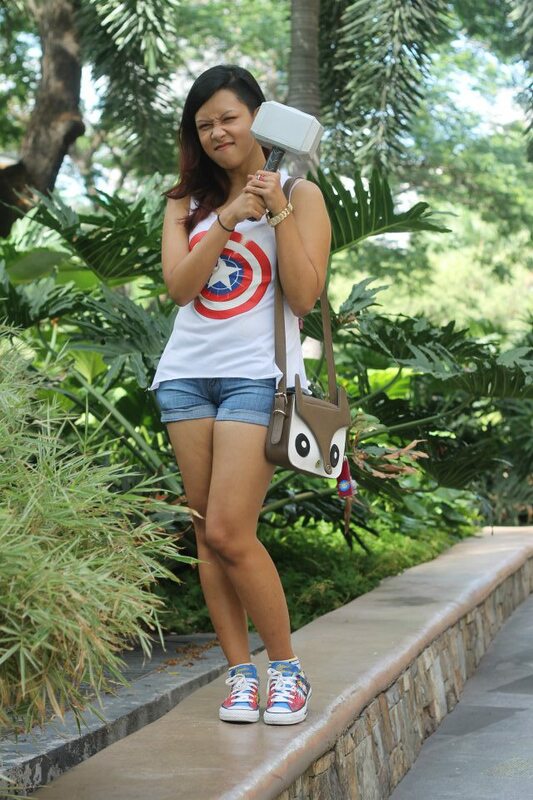 As if reading comic books and watching comic book movies weren't geeky enough, I went the extra mile and wore an Avengers-inspired outfit. 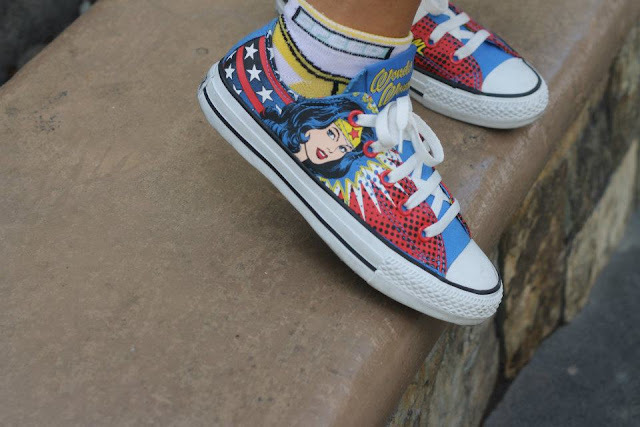 As mentioned in my Avengers movie review, though, I love DC... so I wore my Wonder Woman chucks, as well. 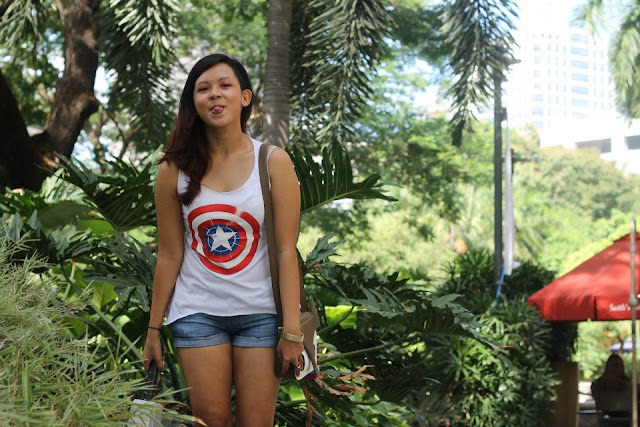 Excuse the vanity and many photos of, well, me in this post. Huge thank you to Kelly for these photos and for forcing me to impulse-buy this top when we met up for the Style Icons x I Love Koi launch. As you will be able to tell: I love them. 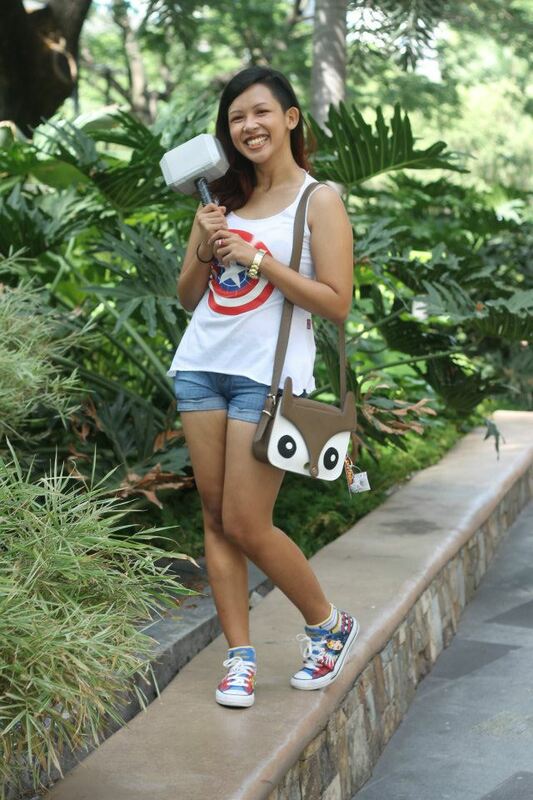 And yes, I brought a toy with me. Don't judge. Oh no. Humahaba na yung clipped area ng hair mo. If you're planning on keeping that lovely hairstyle, bili ka hairclipper. 1k lang yung wireless na for beards. i also have mjulnir! from jollibee happy meal lolz! 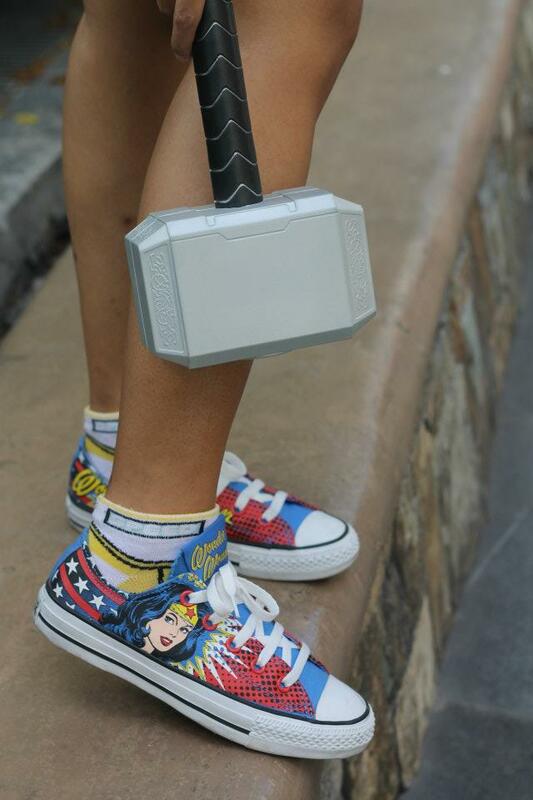 that is just cool girl! 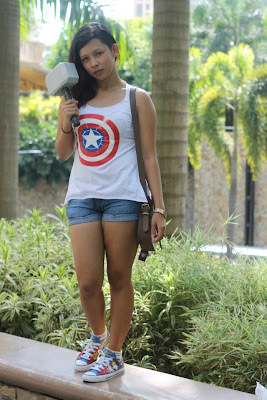 I want the tank top and the hammer! hahaha! I love the outfit! May hammer effect pa FTW! This is so cool! 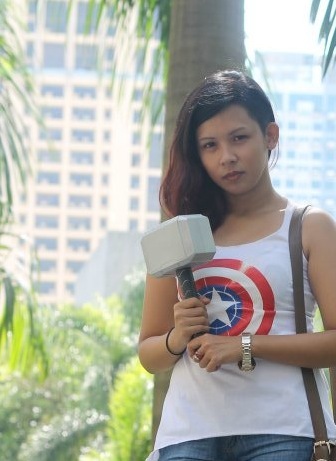 Lakas maka-Thor! haha!